Prayer cards Holy Cards and Mass Cards from Lourdes. 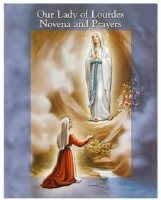 Prayer cards are a catholic tradition, our holy cards and prayer cards are small, depicting a devotional picture of Bernadette and the apparitions. All our cards are unique and and are the size of a playing card. 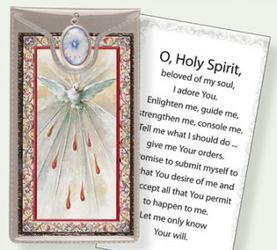 On the reverse of the cards contains a prayers like - Oh Saint Bernadette, prayer to the holy Virgin Mary and musical apparition prayer card playing Ave Maria. Saint Bernadette and the Virgin Mary Moving Plastic Prayer Card. 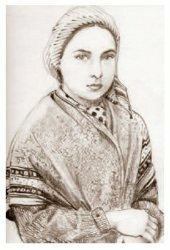 Oh Saint Bernadette Prayer Card. 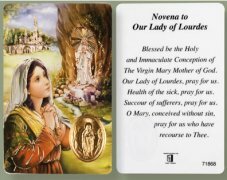 Our Lady of Lourdes Prayer Card. 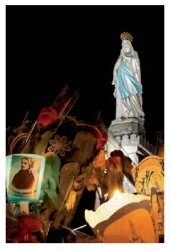 Lourdes Torchlight Procession Prayer Card. 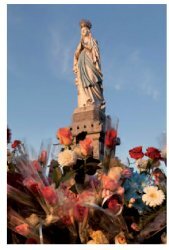 Our Lady of Lourdes Card with Prayer. 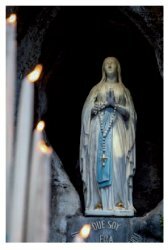 Lourdes Sanctuary Card with Prayer to Our Lady. 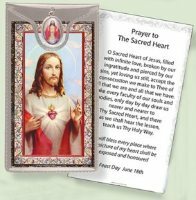 Saint Pio Laminated Prayer Card with Resin Picture. 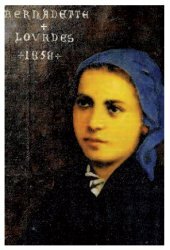 Prayer Card Bernadette Soubirous 1844-1858. 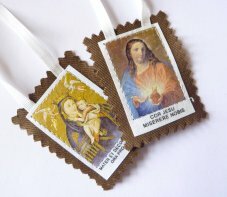 Brown Scapular of Sacred Heart of Jesus and Our Lady of Mount Carmel. 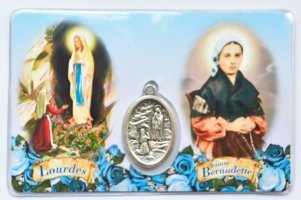 Lourdes Prayer Card with Medal Depicting St Bernadette. 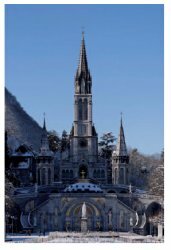 Lourdes Apparition Prayer Card with a Miraculous medal. 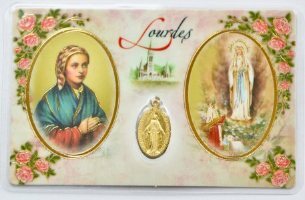 Our Lady of Lourdes Prayer Card with Mini Wall Plaque. 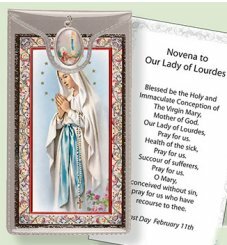 Novena to Our Lady of Lourdes with Gold Foil Medal. Confirmation Medal Prayer Card with Silver Foil. Silver Foil Stamped Novena to Our Lady with Medal. 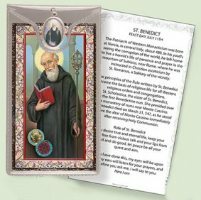 Silver Foil Stamped Prayer Card & Medal St.Benedict. 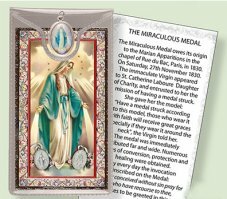 Prayer Card & Medal to Our Lady of Knock. 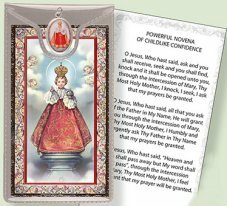 Powerful Novena of Childlike Confidence Prayer Card. 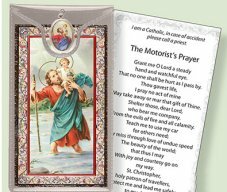 Silver Foil Stamped Motorist's Prayer St Christopher. Silver Foil Stamped Miraculous Medal Prayer Card. 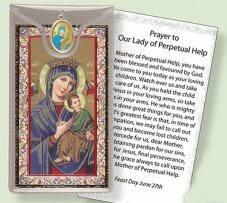 Silver Foil Stamped Prayer Card to Our Lady of Perpetual Help. 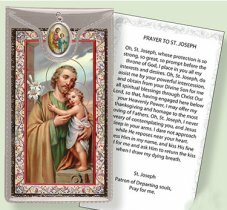 Silver Foil Stamped Prayer Card to St Joseph.